Add a pop of colour to your board with our assorted pack of magnetic buttons. Magnets will hold documents and photos securely on any magnetic surface. Ideal for home, office or classroom. 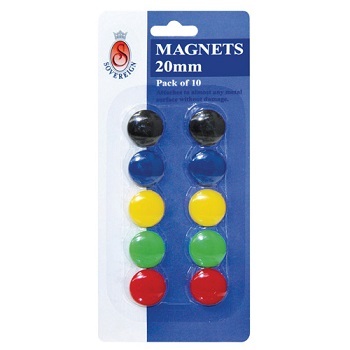 Pack of 10 magnetic buttons which are 20 mm diameter. 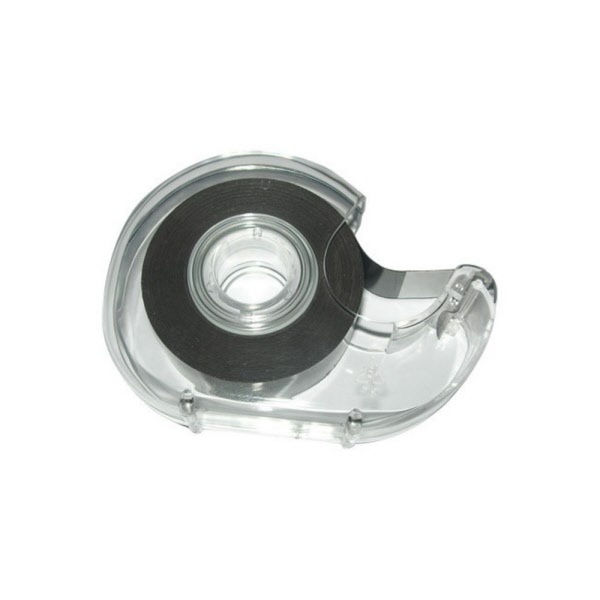 Self adhesive magnetic tape with a handy dispenser for easy use. 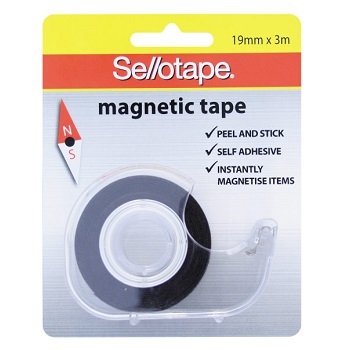 Ideal for sticking onto lightweight items such as photos, drawings, calendars and notes which can then be attached to any magnetic surface such as fridges, metal filing cabinets, lockers and magnetic whiteboards. Size - 19 mm x 3m long roll. Comes in a convenient handy sized dispenser.